Intel has announced two new series of their 2.5-inch and 1.8-inch SATA data center solid-state drives. These are the upper-tier DC S3710 Series and mid-level DC S3610 Series. The DC S3710 replaces the previous DC S3700 Series, which was introduced back in late 2012. The high-level specifications for the entire Intel Solid-State Drive Data Center Family are listed here. 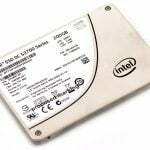 The Intel SSD DC S3710 Series is a 2.5” form factor and comes in 200GB, 400GB, 800GB, and 1.2TB capacities. The Intel SSD DC S3610 Series comes in both 2.5” and 1.8” form factors with the 2.5” coming in 200GB, 400GB, 480GB, 800GB, 1.2TB, and 1.6TB capacities and the 1.8” coming in 200GB, 400GB, and 800GB capacities. 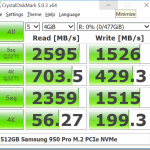 Both of the new SSD Series will use a high-endurance version of Intel’s 20nm MLC NAND, with a SATA interface and will have greater write performance compared to the previous models. The endurance rating for the DC S3710 is 10 drive writes per day for the length of the five-year warranty, while the DC S3610 is rated at 3 drive writes per day for five years. These drives are a very attractive alternative to being price-gouged for internal flash-storage by your server vendor. I have had a number of customers use the older DC S3700 drives in new servers they have purchased, all with good results. Do you know if it’s possible to have redundancy (raid/mirroring) on PCIe Devices from Intel ? For PCIe storage devices, it is pretty common to use RAID 1 in Windows to get redundancy. 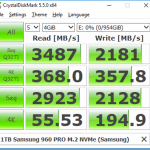 For 2.5″ SATA/SAS drives, people typically use an internal RAID controller (hopefully the best one available). Thanks for the answer. Do you know if it’s possible in Linux (for Oracle) ?